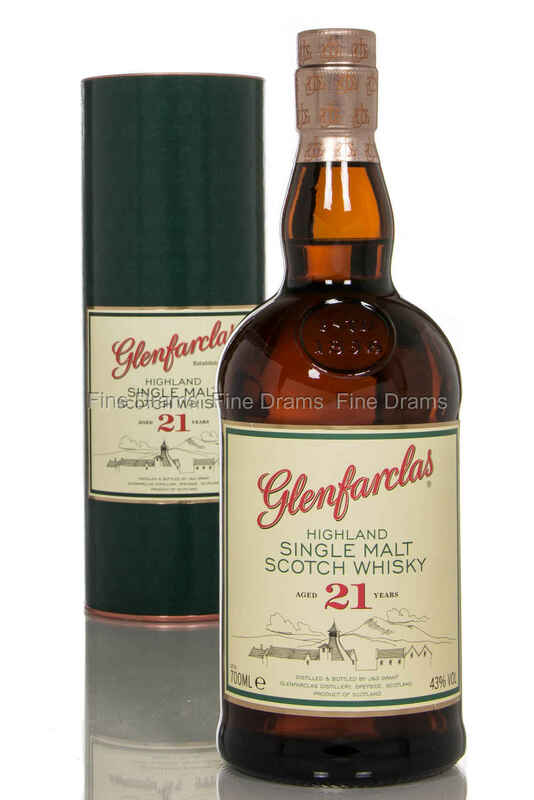 The Glenfarclas 21 year old is a beautiful, wonderfully complex whisky, with nuts, fruits, vanilla, smokiness and citrus, and with a smooth and incredibly long finish. This single malt whisky is bottled at 43% ABV. Nose: Sherry fruits immediately fill the glass, followed by oak panelling and cinnamon apple sauce. Plums, star anise and a little chilli. Vanilla cream, barley and slight lit candle. Palate: Again, plentiful sherry dried fruit, slight pineapple and heavy plums. Familiar spice returns with vanilla pods and old oak. Apples and pears appear at the back of the palate, with slight lactose creaminess. Finish: Very long and spicy with canned fruit cocktail. Overall: A whisky that demonstrates just how good old sherried drams can be. This isn't a "beast" or a "bomb" but it's a luxurious, leathery and full whisky- absolutely packed with flavour.